How about we check in with the recently completed kdrama Grand Prince and give it some love! 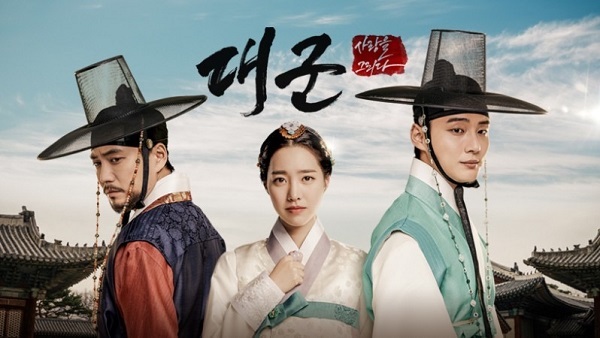 I'll share 5 reasons you should consider watching this wonderful historical drama. Grand Prince follows the love-hate relationship between two princes (Yoon Shi Yoon and Joo Sang Wook) and their complicated battle for the throne as well as the woman (Jin Se Yeon) they both love who gets caught in the middle. Let's jump right in to the list! Hwi and Ja Hyun are the definition of fated, star crossed lovers. They go through so many hardships with so many things coming against them and preventing them from being together and being happy. Their love for each other is strong and helps them endure, but it sure was heartbreaking watching their struggles. I loved their chemistry and just thoroughly enjoyed getting to experience what felt like a genuine romance. I definitely got all swoony with this couple! 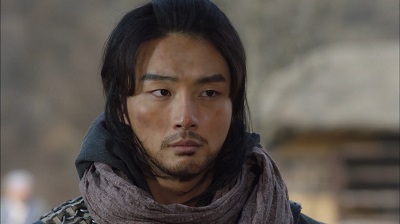 Yoon Shi Yoon brings something new with this drama as he gives us a rougher and manlier character. We do still see his staple charisma and flower boy charm, especially in the earlier stages of the drama. But as he endures one hardship after another, a more mature and toughened character develops. It was an interesting change for sure, and it was great to see a different side to this talented actor. The love/hate bromance between the brothers of Hwi and Kang is so strong. These two are complete opposites. Kang is selfish, greedy for power, and willing to kill for what he wants. Hwi on the otherhand is so kind and loving towards his brother. It makes for a complicated relationship that is filled with intensity, betrayal, and heartbreak. 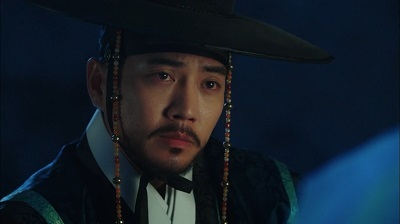 Joo Sang Wook is an intense an actor, and he really delivered in this role. His character Kang's desire for the throne was scary to see as he did worse and worse things in his quest for power. His strong presence was intimidating, but we also see a subtle vulnerability underneath it all. Joo Sang Wook really captured this complicated character and brought him to life. Grand Prince is full of amazing supporting characters. Friends, family, servants, and even villains all have their own struggles and stories that cause them to choose sides and shape how events play out. It made for a well rounded and engaging drama. Grand Prince really came together beautifully with a well written script, great pacing, romance, action, angst, and thrills. It was all so well done to make for a wonderful adventure filled story from start to finish! Can you think of more reasons to check out Grand Prince? the latest in kdrama news as well as reviews for kdramas, a dash of cdramas, and more. Great post! This was my top K-drama for the first half of this year. Hwi and Ja Hyun were such an incredible OTP. I'm so relieved they got their happy ending after everything they went through. The whole cast were fantastic and I loved the costumes and music too.